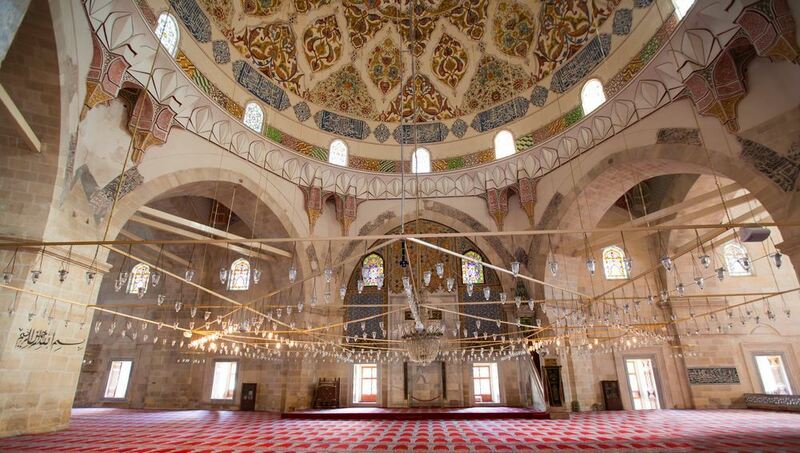 Selimiye Mosque: The first place that springs to mind when one says Edirne is of course the Selimiye Mosque. Known as the masterpiece of Sinan the Architect, this mosque was built for 550 million coins with 400 master builders and 14,000 workmen working in its construction. When in Edirne you shouldn’t fail to visit the Selimiye Mosque as it really is a masterpiece for its architectural features. Edirne Sokollu Bath: Again built by Sinan upon the request of Sokollu Mehmed Pasha, Sokollu Bath is still in use. Visit this bath during your trip to Edirne to freshen up and guarantee a great start to your next day in the city. 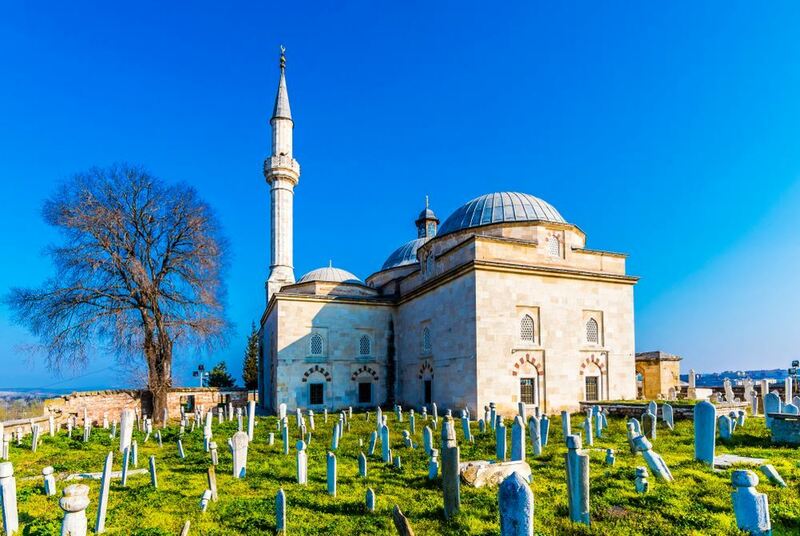 Edirne Old Mosque: Its construction started in 1403 at the behest of Süleyman Çelebi, the Old Mosque was completed in 1414 during the reign of Mehmed I. 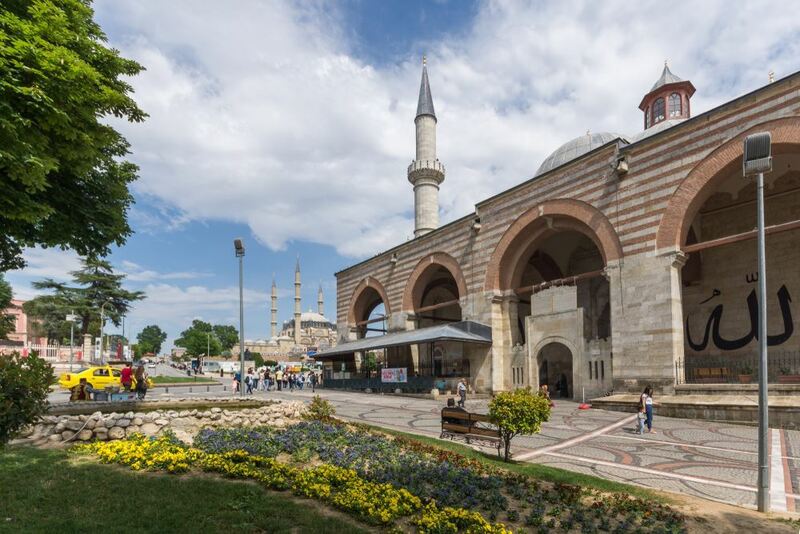 The mosque was built by the architect named Haji Alâeddin of Konya. It has two minarets and nine domes. The calligraphies found inside the mosque are quite dazzling. Rüstem Pasha Caravansary: Built in 1554 by Rüstem Pasha who was the son-in-law of Suleyman the Magnificent besides also being his grand vizier, this place now serves as a hotel. Muradiye Mosque: Built at the behest of Murad Han II in 1433, the Muradiye Mosque is famous for its encaustic tiles. The mosque’s mihrab is the biggest tile mihrab only after the Bursa Yeşil Mosque. Üç Şerefeli Mosque: Literally translates as the mosque with three minaret balconies, its construction began in 1437 during the reign of Murad II and completed in a whopping ten years. The mosque was built by the architect Müslihiddin. It is one of the first examples of the switch from the Seljukian to the Ottoman architecture. 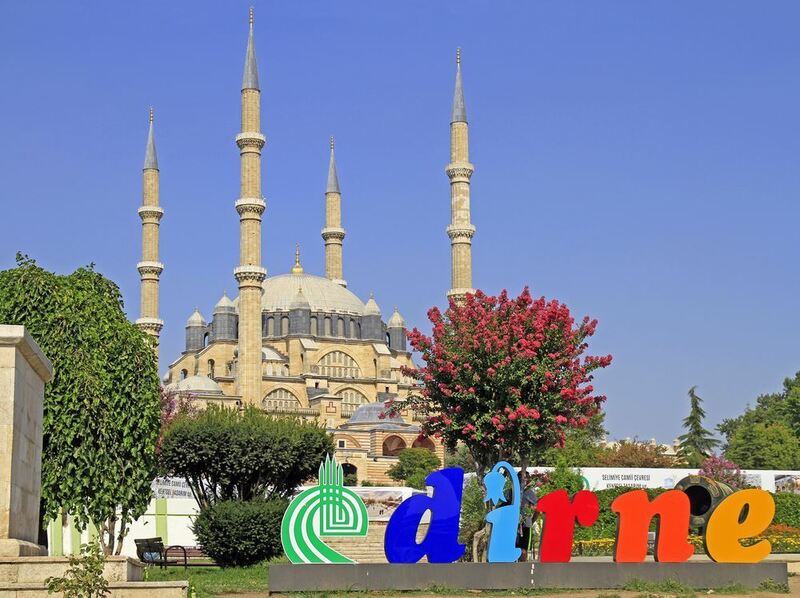 Streets of Edirne: Edirne streets are also among the must-see places in the city. 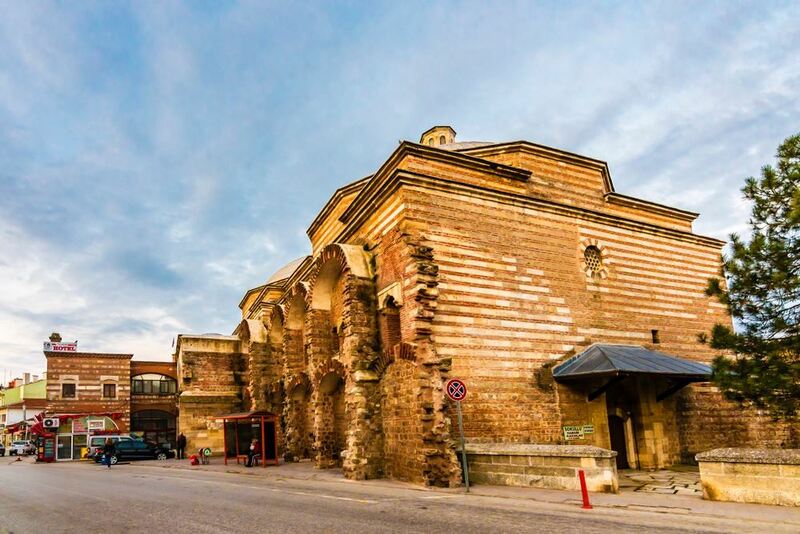 You can explore new attractions and get lost in the history wandering on Edirne streets. Edirne Saraçlar Avenue: Edirne Saraçlar Avenue is like Edirne’s own İstiklal Avenue, the very famous avenue of Istanbul. There are many shops, restaurants, cafés and other venues on this avenue. 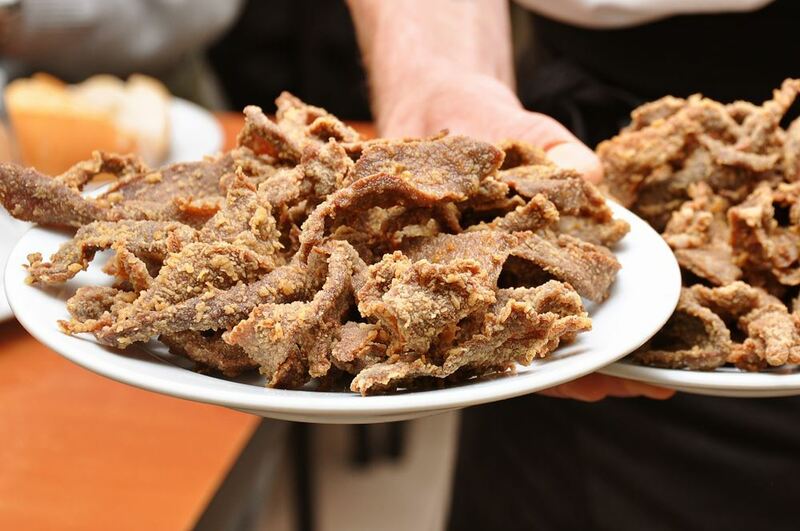 Edirne’s renowned fried liver dish sellers can also be found on the side streets of this avenue. Bayezid II Social Complex: Bayezid II Social Complex was one of the Ottoman’s most important medicine faculties where scholars would use music to help with psychological disorders. There are many flavors to taste in Edirne. But among those, of course, fried liver is what comes to mind first. Edirne’s liver dish is a bit different from those cooked in the eastern and southern cities as Edirne people use frying pans instead of skewers. Among the must-visit liver shops are Ciğerci Kazım, İlhan Usta and Ciğerci Niyazi. Not a liver fan but a fan of meatballs? Then Köfteci Osman is the perfect meatball restaurant for you. Plus, there is the Kervansaray Dondurma for great ice creams and there are also nice breakfast places right across the Maritsa. And before you return also make sure that you try mixed Ottoman paste, cheese halva, Hayrabolu dessert, almond paste, and the hardaliye drink and stop by some tea shops for a good cup of Turkish tea! Under the influence of the Marmara and Aegean seas, as well as the Black Sea, this beautiful city with fresh and clear air and history-soaked buildings enjoys a diverse climate. But it is dominated by continental climate specific to Central Europe. The annual average temperature is 13.5Cº. It is usually dry and hot in summers, cold and snowy in winters. So the best seasons to visit Edirne would be spring and summer.